Most people think of security in terms of the locks on their doors but ensuring your valuables are safe could mean investing in an added layer of protection. People who want additional peace of mind often invest in a safe to protect their high-value heirlooms, hard to replace documents such as birth certificates and crucial office records. In a commercial office environment, businesses use security safes to protect highly confidential records, media, and special equipment. 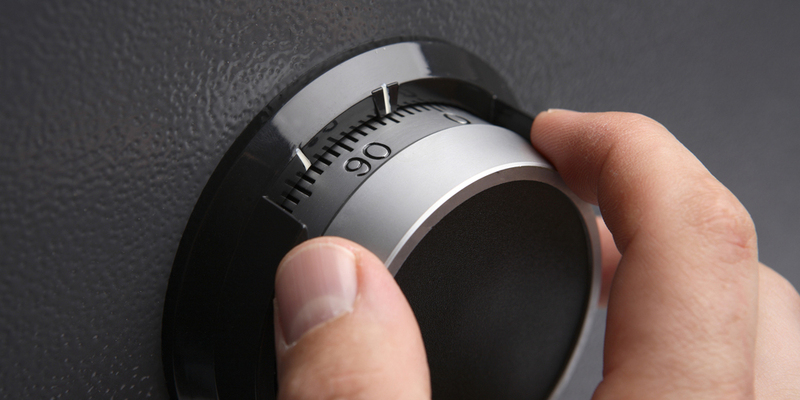 There are many things that people do not know about safes. So picking one can seem quite overwhelming. But once you know what you are looking for, you can choose the best safe available. The most basic version of a safe is called a diversion safe. Often referred to as a hidden safe made from an otherwise ordinary object resulting in things such as a book safe, a candle safe, a can safe, or even a wall outlet plug safe. Valuables can be placed in these type of safes and stored inconspicuously such as in a book that can be placed on a bookshelf to blend in with other books. Fire resistant safes protect contents from high temperatures. They are rated by the amount of time they can withstand fire extreme temperatures, while not exceeding a set internal temperature, usually 350 degrees. Most of these safe models offer between ½ hour and 4 hours of protection. An in-floor safe installed in a concrete floor is the most fire resistant. Not all floor safes are watertight and will often fill with water from fire hoses. Everything stored in a fire resistant safe should be placed in double zip lock bags, dry bags or sealed plastic containers. 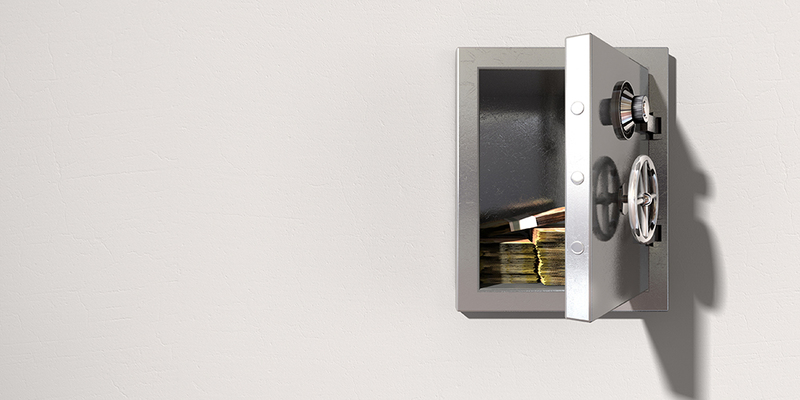 Wall safes are commonly used to provide hidden protection for valuable documents or jewelry. They can be installed in various depths of wall thicknesses to maximize space. Some models offer a pry-resistant recessed door with concealed hinges for anti-theft protection. This kind of safe can be easily covered with a piece of furniture such as an armoire or a painting to hide it from view. Jewelry safes are burglary and fire safes made specifically to store jewelry and other miscellaneous valuables. They are typically made with interior jewelry chests of fine woods and fabric liners that come in a range of configurations. These safes tend to be smaller and more compact than others. A burglar resistant safe is rated based on its resistance to a variety of tools that could potentially be used during a break in and the time it would take for a burglar to access the safe. This type of safe is not designed to withstand heat like a fire resistant safe. Some safes types are resistant to specific elements. A fireproof safe may not necessarily mean that a safe is also resistant to elements such as water and dust. An environmental resistant safe is specifically designed to be waterproof and can withstand underwater submersion without affecting the valuables inside. This type of equipment has self-contained devices with insulated bodies, drawers, lids or doors that house individually rated containers with one or more compartments for storing records. These devices are designed to protect various records according to assigned class ratings based on impact resistance and a safe fall test that records resistance to falling from a certain height and debris falling upon it during a fire. For larger volume, heat sensitive materials, a modular room-sized vault can be a much more economical choice over fire rated safes. Typically vaults are used by larger companies and government agencies or off-site storage services. These safes are typically rated Class 125 for large data storage applications although can reach a Class rating of 350 used for protecting highly valuable paper documents. Class 125 vaults have been used to protect entire data centers. Some safes are specifically designed to automatically dispense cash or validate bills as part of an automated cash handling system such as with ATM Machines and Coin Dispensers. Customers can use them at their convenience, eliminating the need for personal interaction and creating a safer transaction environment. Underwriters Laboratories (UL) is the company that tests the majority of these safe products. They perform the most rigorous testing, making them the most respected third-party testing entity in the world. Their rating system starts at Class 125 which is the most common for basic media up to an advanced Class TXTL-60 which can withstand high explosives. So be sure that you don’t get locked out of your safe.